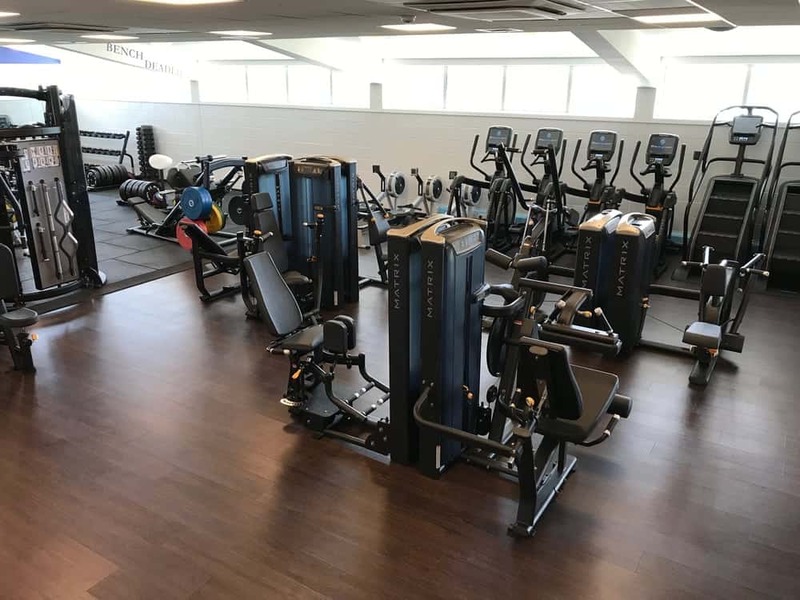 Chichester College contacted us here at Recreational Coatings and asked us to come up with a specification for gym flooring. The college has a small but varied gym space. 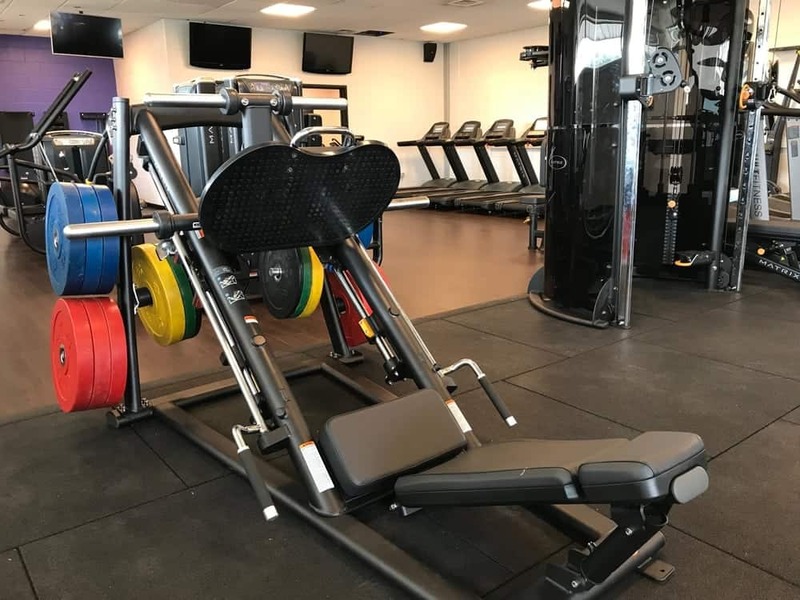 The challenge was to offer a flooring solution that would integrate well with the wide range of gym equipment. We also had to address the issue of the current sub floor, a patch-work quilt of varying floor finishes. We had to ensure the new floor was tough enough to withstand the abuse that gym flooring endures. It wasn’t going to be easy but we set to work. The first issue was that the existing sub floor was a raised access floor which isn’t ideal for gyms. We therefore installed a reinforcement layer to help prevent damage from weights being dropped. The second issue was that isolated areas of the old sub floor had been reinforced with plywood which made the floor uneven. We had to level out the sub floor so that the new flooring would float over the top. This would save the customer time and money. Once we had reinforced and levelled the sub floor we set about installing the new floor finish. In the CV area we installed Gerflor Creation 70 Clic in colour Flamingo- this product offers a hard and resilient surface which is ideal for CV/fixed resistance areas, walkways and reception areas. 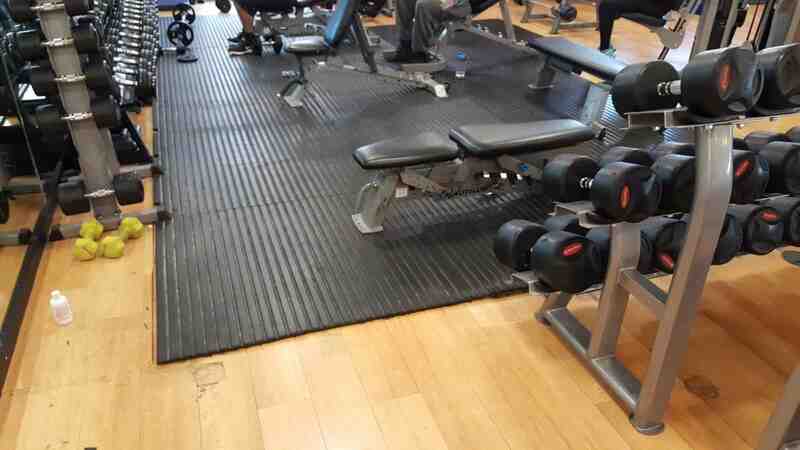 In the free weights area we installed a 40mm rubber impact tile- ideal in areas where dumbells & barbells are being dropped. The gym is on the first floor so the impact tile will help with the acoustics as well. Finally, we installed two bespoke sunken lifting platforms. The platform centres were finished with Gerflor Creation 70 Clic Flamingo and the drop zones were reinforced and finished with a specific rubber tile designed to withstand repetitive impact. 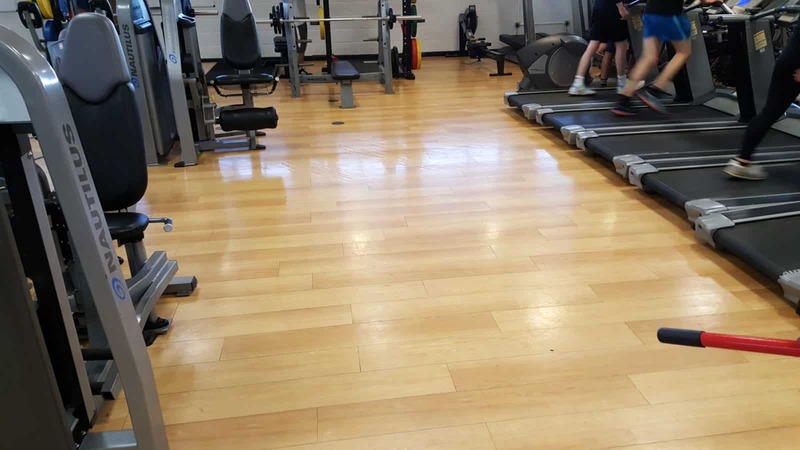 As well as the gym flooring installation, we also refreshed the Junckers wooden sports hall floor. 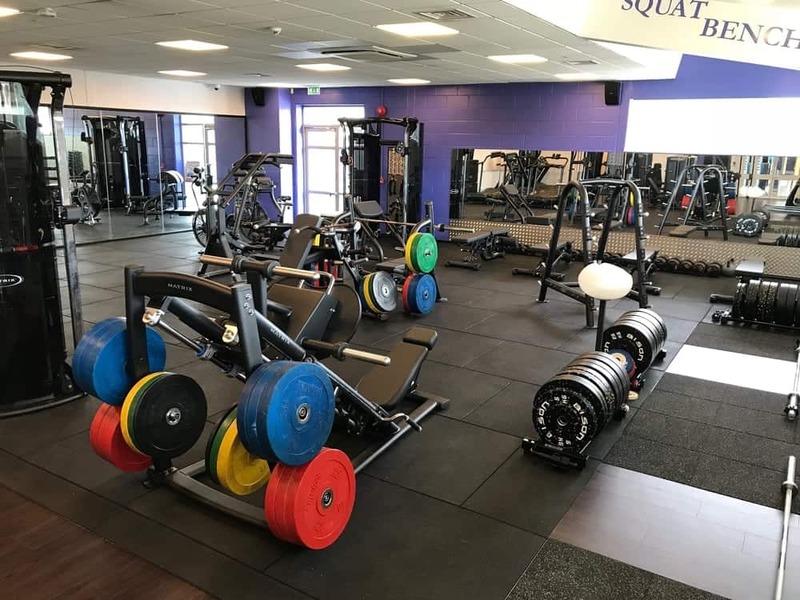 Chichester College really did take advantage of our expertise of sport and gym flooring!